Product prices and availability are accurate as of 2019-04-23 04:26:21 UTC and are subject to change. Any price and availability information displayed on http://www.amazon.com/ at the time of purchase will apply to the purchase of this product. Designed for residential sewage applications. Higher flow rates allow use with 2" discharge lines. 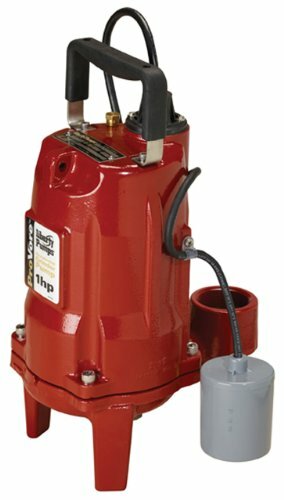 PRG-Series residential grinders can be used as a replacement pump in 2" discharge systems using LE40 and LE50-series solids-handling pumps. NOTE: PRG-Series flow rates do not exactly match LE-series flow rates. Consult factory with actual application and head specifications prior to replacing LE40 and LE50 series pumps (Min flow rate: 42 GPM at 5ft head - see Mfg specifications for full curve).